The Trump campaign today issued the first national filter of the 2016 election. As the Verge points out, various candidates, including Hillary Clinton and Bernie Sanders, had previously used geofilters for local campaign events, this is the first time a filter is available at the national level. All things told, it’s relatively tame for the Trump team. It features the standard “Make America great again” slogan at the bottom, and while the original version calls out “Donald J. Trump vs Crooked Hillary,” Time reports that it will be changed during the debate for a less blatant attack on Clinton. 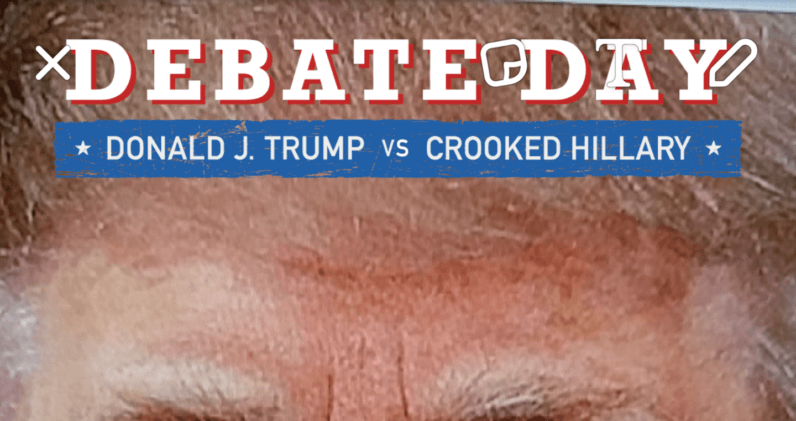 Still, it’s worth noting the campaign shelling out money on something as simple as a Snapchat filter. As Snapchat’s userbase ages over the years, we only imagine filters will become more relevant – or whatever else Snap Inc. has cooked up by then. You can try out the filter now on Snapchat. You know, if ‘making America great again’ is your thing.